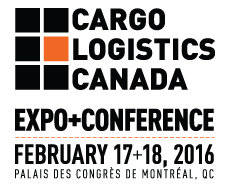 The Cargo Logistics Canada Expo & Conference is the largest and most diverse gathering of stakeholders in Canadian supply chains to be assembled in Canada. To receive a complimentary pass to this event, register online using the promo code CLCCOMP16 . Click here to register.